I think you found me (Neato). I got some popup messages from "Maibs". I tried to respond, but I could not figure it out. I also keep getting a popup message saying I have "1 Unread Message", but I have no idea how to read it. I'm enjoying the concept of this game, but I have to be honest and say the controls are insanely clunky, especially in vehicles. I'm playing as an Enforcer, but I probably killed more innocent people than the criminals did while trying to drive a car. Driving appears to be a big problem for everyone, if you check out the forums, that and hit detection seems to be the main gripe. Give me a shout next weekend if your about, maybe group up for some missions. if its an e-mail you need to read at a terminal near agents or in social district, 1 Unread Message usually mean that someone is talking in district chat but the chat box is closed, usually opens on its own or press home. Also remember to update your client before attempting to play in the next playsession, there is 4gb worth of updates and a few surpises ingame. APB Lead Designer EJ Moreland spoke about the infrequently discussed console version of Realtime Worlds' upcoming cops-n-robbers MMO All Points Bulletin in a recent interview with the folks at Develop. In the interview, EJ noted that the console version of APB would be different and not a straight PC-to-console port as those sorts of games don't tend to "work as well as it did on the original platform." 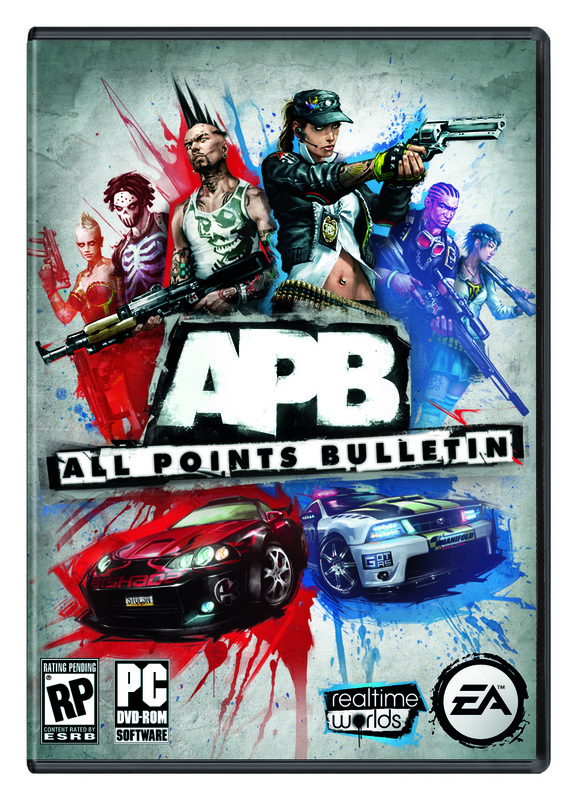 The choice to make the console version of APB a more "console centric" version as opposed to simply doing a port job means that a console version of APB may still be a ways out, as the team has not even begun production on the console version yet. EJ does reassure us that the game will not be "radically different" though, so those of you who are looking forward to playing APB on consoles, don't fret, the game will still be about "content creation, online celebrity, and deep match-making", it'll just a bit more console friendly! You can read part one of the full interview over at Develop right now for additional information. I'm sure it is, but unless it's point and click i won't be getting it problem is my pc monitor is only 14" while my tv is a 32". Plus my console is hooked up to a 5.1 cinema kit, my pc is only 2.1. Thats why i would rather play console games. I play it on my TV via my laptop's HDMI out and with my 360 pad of course, my lappy will also play it at maximum settings without any fuss which is always a good thing.